The storm clouds are further gathering over the RIM headquarters. A week before the company is set to reveal its Q3 results (December 15, next Thursday), Citigroup’s Jim Suva is offering up 10 more ways the company can further wreck its image and make 2012 extra special. Frankly, 2011 was a horrendous year for RIM. News that it can get worse? Hopefully none of the company’s execs get wind of this and turn more international flights into frat parties. Reiterating his Sell rating and $15 price target for Research in Motion shares, Suva explained that the BlackBerry-maker’s full fiscal Q3 results may be much worse than originally thought. Here’s what we already know: RIM is seeing a huge decline in shipments this quarter, only the second time in ten years the company has seen units decline. Add to that the bevy of other problems faced by the handset maker, who what the results will be. 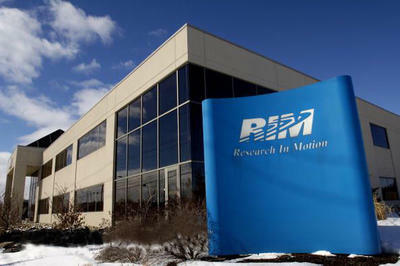 Given the severity of the challenges facing RIM, it wouldn’t be surprising if the company decided to stop forecasting year results altogether, Suva said. The consumer trend in IT, with people picking their own phones, “could severely impact RIM’s subscriber base” as annual corporate subscriptions roll over, with some being cancelled. It’s not all down in the doldrums for RIM, however. RIM shares have gone up 12 cents today! Still, seeing ten more ways it can screw up isn’t exactly the kind of thing RIM wants to see after the year they’ve had.